Each of the lodge rooms are simple, spotless, and comfortable. They include a private bathroom separated by a curtain partition, mini-fridge, closet, and ceiling fan. Please contact us to book this property. 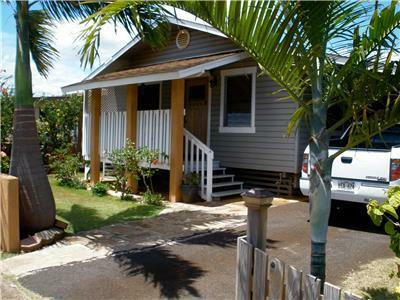 It’s perfectly situated in a neighborhood just on the outskirts of town. So, you can walk into town or to the beach in minutes. 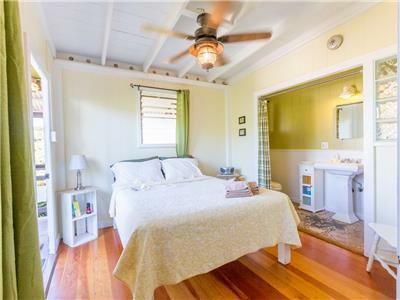 Plus, the famous beaches of Ho’okipa, Lanes, Mama’s Fish House, Tavares, Paia Bay, and Baldwin Beach range between a five minute walk and a five minute drive. 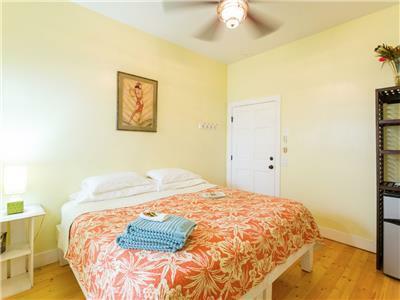 Apartment with full kitchen, private bath, king bed, twin bed, and air conditioning (AC). 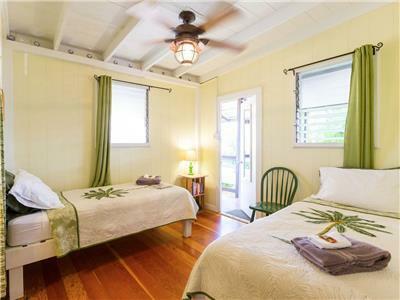 Each of the lodge rooms are simple, spotless, and comfortable. They include a private bathroom separated by a curtain partition (not a door), mini-fridge, closet, and ceiling fan. 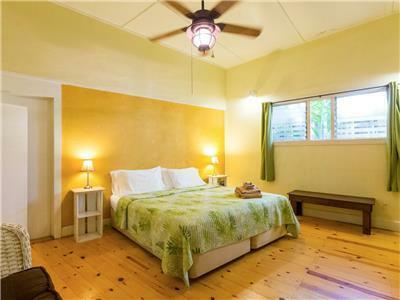 Each of the recently renovated lodge rooms with king bed and air conditioning are simple, spotless, and comfortable. 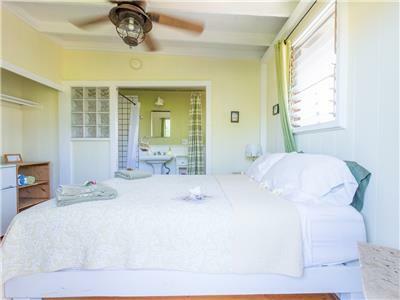 They include a private bathroom separated by a curtain partition, mini-fridge, closet, AC unit, and ceiling fan.